There's money to be made in the t-shirt business. The t-shirt industry was worth $441 million in 2017. There's been a 9.5% increase in the number of t-shirt businesses each year since 2012. There are more platforms to sell t-shirts and original t-shirt designs than ever before. There are popular marketplace sites like Etsy and eBay to sell your original designs and creations. Then there are well-populated resale sites like Poshmark and DePop, where you can sell used t-shirts as well as your original creations. With so many options out there, and so many people making outstanding designs, you need to stand out if you want to get noticed and make any kind of money. Today, we're going to look into t-shirt marketing. We'll help you get your t-shirts noticed by the right people, increasing your bottom line and helping your business to flourish and thrive. For starters, let's begin by stating the obvious. There's no such thing as a boilerplate marketing strategy. Marketing's job is to enhance and broadcast your brand's image. A cookie cutter marketing plan sends the message that your t-shirt company is generic. 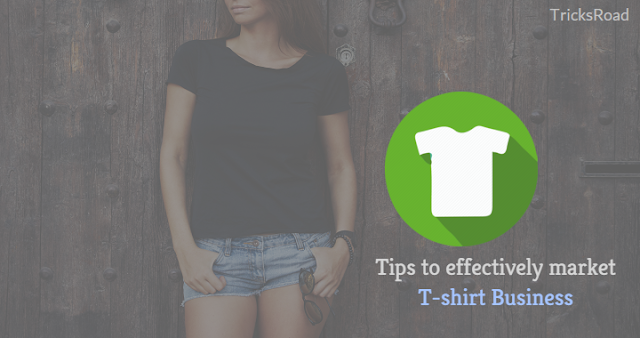 These t-shirt marketing tips will help your marketing campaigns stand out from the rest. You're not likely to make much money with your t-shirt business if there's not much of a market for your designs. That means you need to look around and see what's out there, so you can identify a niche that needs to be filled. If there's already a lot of t-shirts in a particular topic or niche, it's going to be hard to get noticed. On the other hand, if there are no designs, that could indicate either a niche that's waiting to be filled or that there's no interest. You'd have to do additional research, like conducting SEO keyword research, but that's a topic unto itself. 90% of all purchasing decisions are made subconsciously. That means people are responding to the color, shape, and size of your brand's visual identity long before it even hits their frontal lobe. You should stick to images and colors that evoke some sort of positive reaction in your intended audience. Of course, what that means and looks like varies quite a bit depending on the audience. What is positive to a Disney fan might be very different than someone looking for Friday the 13th t-shirts, for instance. Graphic design is similar to marketing in that there's no one right answer for how to do it correctly. There are certain tried-and-true design principles that you should at least keep in mind. For one, a design shouldn't feature any unnecessary details. It confuses your audience, leaving them unsure about what your brand actually is or does. This is especially true when designing logos. When it comes time to design a logo for your t-shirt company, keep one thing in mind - editorialize. Edit, edit, edit, until only the most essential design elements are left. The fact that social media is a powerful marketing tool is not exactly a revelation in 2019. A lot of business owners don't do it right, however. They forget the 'social' aspect of social media. 70% of consumers report that they'd use a brand's product or services if they respond to them via social media. On the other hand, 30% report that they'll turn to a competitor if the brand doesn't respond. Not only does a brand need to respond to social media messages, but they need to do so in a timely fashion. Mobile technology has made consumers increasingly impatient. Customers now expect a response in four hours or less, but business owners frequently let them wait 10 hours or more. There's no over-stating the power of social influence. 70% of teens trust social media influencers more than brands. 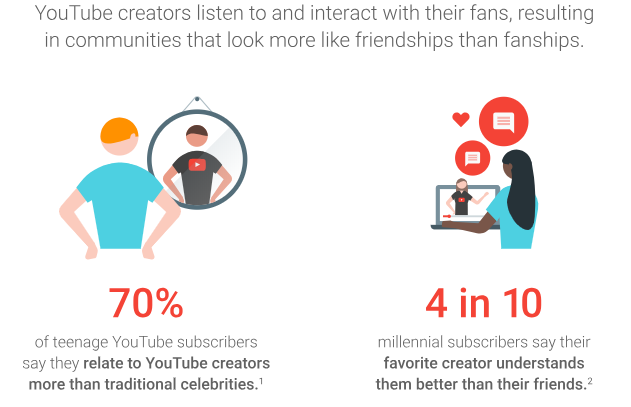 40% of millennials report that influencers understand them better than their friends do. This is actually good news for t-shirt brands, as you can focus your resources on reaching influencers rather than gambling on an advertising campaign. You can also make your influencer marketing campaigns scalable, so they can grow at the same rate as your company! Giveaways and contests are a great tool for t-shirt marketing. It essentially gets your customers to do your marketing for you. One example of a good marketing contest would be to have your customers and audience share a post on social media with a branded hashtag and tagging your company. This checks several boxes all at once. It raises brand awareness while simultaneously getting your more followers on social media at the same time. It's like an email list and a guerilla marketing campaign all in one! There's a subtle art in developing a brand identity. Your brand has its own voice and personality, so to speak. While it doesn't necessarily need to be reflective of your personal tastes and opinions, you're likely going to have a hard time keeping it going if it's too dissimilar. Instead, shoot for the sweet spot where your tastes, your brand's aesthetic, and your customers' tastes intersect. If you've got a younger, fashion-loving following, for instance, you'll probably want to keep your messaging light-hearted with lots of soft colors. If you're going for an older, techier crowd, clean minimalist lines and stark monochrome graphics might get more traction. If you want to learn more about growing your t-shirt marketing business, you can read more here. It's an exciting time to be an entrepreneur of any kind. Owning a t-shirt company is particularly rewarding, however, as you help people look and feel their best. All while making a tidy profit at the same time. There's a vast sea of information out there for you to wade through. Whether you're looking to master t-shirt marketing or want to learn more about automation, we bring you the best digital marketing news and resources to help you and your business flourish! Browse the rest of our digital marketing articles today!